I have been involved in the development of Psychosocial Studies at Birkbeck since 2005. My first degree was in Medical Science and Psychology, followed by a Masters in Counselling and Psychotherapy, and a PhD in Psychology. Between 1995 and 2005 I trained as a psychodynamic psychotherapist, and worked in a range of mental health settings, thinking through the psychological ramifications of violence, abuse and poverty in the lives of women. Since taking up an academic position, my research has been in psychoanalytic and psychosocial theories, particularly their intersections with theories of gender and sexuality, motherhood and the maternal, and with philosophies of ethics, affects, materiality, temporality and event. One major strand of my research has focused on the fraught relations, as well as creative tensions, between motherhood, female subjectivities and ethics. I am interested in different ways of understanding the conjunction ‘maternal ethics’, especially what ‘mothering’ does to our concepts of care, labour and subjectivity if we strip normative and idealised figurations out of mothering itself. How, in other words, might we think about maternal subjectivity as an utterly new position of experience, one that goes on to challenge and deform our understandings of singularity and relatedness, ethics and care, encounter and event? I draw on debates in contemporary psychoanalysis, feminist and social theory to rethink maternal subjectivities. I am also interested in the use of autobiographical writing, anecdote, and other literary forms as ways of generating theory. A monograph entitled Maternal Encounters: The Ethics of Interruption (Routledge, 2009) draws this work together. It was the winner of the 2009 Feminist and Women’s Studies Association book prize. More recent maternal research focuses on what happens when mothering ‘erupts’ into the public sphere, prompting us to think about the public anew. I am working on a co-authored book and a series of papers that develop the idea of ‘maternal publics’ and the place of ‘birth’ in contemporary culture in collaboration with Professor Imogen Tyler at the University of Lancaster. I run an international interdisciplinary research network – Mapping Maternal Subjectivities, Identities and Ethics (MaMSIE) – which organises events and publishes a scholarly online journal, Studies in the Maternal, in collaboration with Sigal Spigel at the University of Cambridge. 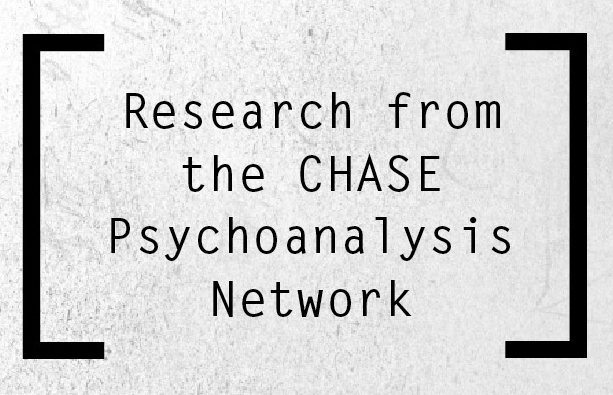 A second area of my research focuses on the psychosocial, particularly its epistemological and methodological dimensions. This includes work on the relation between psychoanalysis as a theoretical and clinical practice, and debates on affect, emotions, ethics, temporality, performance and the emerging discipline of psychosocial studies itself. My current research is on gender and temporality. I’m interested in time that fails to unfold, and the place of various forms of ‘stuck’ or suspended time that play out in relation to the more and more ‘qualified’ time of work. Non-developmental time has been recently discussed in queer literature that works against normative accounts of the way a life might unfold in predicable ways over time. My current project, funded by the Independent Social Research Foundation (Time Without Qualities) extends this work by examining temporal tropes such as waiting, staying, delay, maintenance and endurance in relation to a range of durational practices and social projects (psychoanalysis, mothering, care, incarceration, activism) in a bid to understand affective survival in late liberal conditions. I recently secured a Seed Award from the Wellcome Trust and the Institutional Strategic Support Fund to develop a project with Dr. Laura Salisbury (Medical Humanities and English, University of Exeter) on temporality and care in health contexts (mental health, the GP encounter, and end of life care). Baraitser, L., (forthcoming, 2016) Enduring Time. Bloomsbury, London. Baraitser, L., (forthcoming, 2016) Object Orientated Maternalities, or Mothers who Hoard. In A Feeling for Things. Eds., Lisa Baraitser and Michael O’Rourke. Punctum Books: Brooklyn. Baraitser, L., (2009) Maternal Encounters; The Ethics of Interruption. Routledge: London & New York. Baraitser, L., (forthcoming) The Time that we Have. In Modern Times; Haunted by the Past, Hunted by the Future. Ed., Oliver Decker. Routledge. Baraitser, L., (2015) Transdisciplinarity as a Psychosocial Concept. Special Issue, Transdisciplinary Problematics, eds. Peter Osborne, Stella Sandford, Eric Alliez, Theory, Culture, Society 32: 207-231. Baraitser, L., (2015) Touching Time: Maintenance, Endurance, Care, in Psychosocial Imaginaries, Ed., Stephen Frosh, Palgrave. Baraitser, L., (2015) Psychoanalysis, Feminism And… Special Issue: Juliet Mitchell’s Psychoanalysis and Feminism, Then and Now. Psychoanalysis, Culture, & Society, 20: 151-159. Baraitser, L., (2014) Duration, Skin and the Ageing Subject. Studies in Gender and Sexuality. 15: 228-234. Tyler, I., & Baraitser, L., (2013) From Abjection to Natality: Some thoughts on Helen Knowles’ YouTube Portraits. Catalogue, Private View: Public Birth, Poppy Bowers and Helen Knowles, 2013. Baraitser, L (2013) Collecting Time. New Formations., 79: 8-25. Baraitser, L., (2013) Mush Time. Families, Relationships, Societies, 2(1): 149-155. Baraitser, L., (2013) Nomadic Subjects and the Feminist Archives. Tijdschrift voor Genderstudies, 15(4). Reprinted in The Subject of Rosi Braidotti, Eds, Bolette Blaagaard & Iris van der Tuin (Bloomsbury, London, 2014). Baraitser, L., (2012) Communality Across Time. Studies in Gender and Sexuality, 13: 117-122. In, ‘Encountering, Theorizing and Living Maternal Subjectivities: A Panel Discussion of Lisa Baraitser’s Maternal Encounters: the Ethics of Interruption’, ed. Noreen Giffney, Anne Mulhall and Michael O’Rourke. Studies in Gender and Sexuality, 13:2 (2012). Frost, N., Eatough, V., Shaw, R.L., Weille, K.L., Tzemou, E., Baraitser, L. (2012) Pleasure, pain and procrastination: Reflections on the experience of doing memory-work research. Qualitative Research in Psychology. Baraitser, L., (2012) Maternal Publics: Time, Relationality and the Public Sphere. In Critical Explorations through Psychoanalysis. Ed. A. Gulerce. Basingstoke: Palgrave, 2011. Reprinted in Mothering and Psychoanalysis (Demeter Press, 2014). Baraitser, L., and Spigel, S., (2011) Mapping Maternal Subjectivities, Identities and Ethics. In The 21st Century Motherhood Movement. Ed. Andrea O’Reilly. Demeter Press: Ontario. Baraitser, L. (2010) On Reading Rosi Braidotti’s ‘Transpositions’. Subjectivity, 3:125-130. Baraitser, L. and Tyler, I., (2010) Talking of Mothers. Soundings: A Journal of Politics and Culture. 44: 117-127. Baraitser, L. (2009) Redundant Groupings and the Ethico-Political Subject: Mothers who make things public. Special Issue: Birth. Feminist Review 93: 8-23. Baraitser, L. and Spigel, S. (2009) Mapping Maternal Subjectivities, Identities and Ethics. Studies in the Maternal 1(1). Frosh, S. and Baraitser, L. (2009) Goodbye to Identity? In A. Elliott and P. du Gay (eds) Identity in Question. London: Sage. Frosh, S. and Baraitser, L. (2008) Psychoanalysis and Psychosocial Studies. Psychoanalysis, Culture and Society, 13: 346-365. Baraitser, L. (2008) On Giving and Taking Offence. Psychoanalysis, Culture and Society, 13: 423-427. Bayly, S. and Baraitser, L. (2008) On Waiting for Something to Happen. Subjectivity, 24: 340-355. Frosh, S. and Baraitser, L. (2008) Marginalia. Qualitative Research in Psychology, 5: 1-9. Baraitser, L. (2008) Mum’s the Word: Intersubjectivity, alterity and the maternal subject. Studies in Gender and Sexuality, 9: 86-110. Baraitser, L. and Frosh, S. (2007) Affect and Encounter in Psychoanalysis. Critical Psychology, 21: 76-93. Baraitser, L. and Noack, A. (2007) Mother Courage: Reflections on Maternal Resilience. British Journal of Psychotherapy, 23(2): 171-188. Baraitser, L. (2006) Oi Mother Keep Ye’ Hair On! Impossible transformations of Maternal Subjectivity. Studies in Gender and Sexuality, 7(3): 217-238. Baraitser, L. (2006) Reply to Commentaries. Studies in Gender and Sexuality, 7(3): 249-257. Noack, A. and Baraitser, L. (2004) Groupwork with Mothers who have been Sexually Abused in Childhood. British Journal of Psychotherapy, 20 (3):345-359. Frosh, S. and Baraitser, L. (2003) Thinking, Recognition, Otherness. The Psychoanalytic Review: 90(6): 771-789. Baraitser, L. and Bayly, S. (2001) Now and Then: Psychotherapy and the rehearsal process. In Psychoanalysis and Performance, Kear A., and Campbell P (eds). Routledge: London.